“Researchers from Tel Aviv University report in the PLoS ONE journal that the common spice cinnamon found in many kitchen pantries around the world may hold a crucial key to preventing Alzheimer’s disease. Alzheimer`s disease cases are growing at an exponential pace, currently affecting one in eight people over the age of 65. Cutting edge research posits that the devastating illness is in part the result of metabolic disruption in the brain and has been coined `Type III diabetes` as it disrupts insulin levels in brain tissue. An extract found in cinnamon bark, called CEppt, has been shown to inhibit the development and progression of the disease in this latest study. I received two letters in as many days asking for a recipe for Sambar. Allow me to re-post an older blog to answer both requests. “Dear Kurma Ji, I’m a vegetarian. 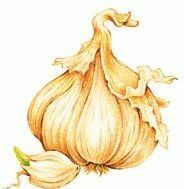 But I do have a penchant for garlic and onions since as you know they are heavily used in South Indian cooking. Well, I have been trying to meditate, but to no avail. I do think that maybe I need to get rid of onions and garlic since they may halt the progress. This South Indian soup is traditionally chili-hot. Reduce the chili content for a milder version. Sambar features three main ingredients: toor dal, tamarind pulp, and a special spice powder called sambar masala. All three ingredients are available at any Indian grocer. Sambar’s delightful hot-and-sour flavour can be made more substantial with the addition of practically any vegetable of your choice. Serve it with plain fluffy rice, with any South Indian selection. Serves 5 persons. Wash and drain the toor dal. Soak the dal in 1 litre of hot water for 3 hours. Drain. Boil the dal, water, turmeric, and butter over high heat in a 4-litre/quart saucepan. Reduce to a simmer. Simmer for 1 hour or until the dal becomes soft. Whisk or blend the soup until smooth. Add the cayenne, sugar and tamarind puree. Heat the ghee or oil in a small pan over moderately high heat. Saute the mustard seeds in the hot ghee until they crackle. Add the green chilies and fenugreek seeds. When the fenugreek seeds turn a darker shade, add the curry leaves, asafetida, and sambar masala. Saute momentarily; then add to the simmering dal. Remove from the heat, season with salt, garnish with the chopped coriander, and serve hot. Here’s an old recipe of mine from my very first cookbook. Give it a try. Tortillas are the national bread of Mexico. They are thin and round and made from a white cornmeal called masa. Tortillas are cooked on a griddle without browning, so they are quite soft and may be eaten as they are or fried briefly in oil to crisp them. Masa harina is available from specialty shops, or you can try fine white polenta as a substitute. Tortillas may be toasted and used for Tacos, or rolled and stuffed, as in Enchiladas. 1 cup (250 ml) fine wholemeal flour. Combine the masa or fine polenta and cold water in a bowl. Stir this mixture into the boiling salted water in a saucepan over full heat. Stir until the mixture is thick, drawing away from the sides of the pan. Remove the thickened mixture from the heat and place it in a bowl. Stir in the wholemeal flour to make a soft dough and knead on a lightly floured board until smooth (about 10 minutes), adding more flour if necessary. Divide the dough into 8 equal portions and shape them into balls. Flatten the balls and roll them out to 0.125 cm (1/16-inch) thickness. Heat an un-oiled, heavy cast iron pan over moderate heat and, one at a time, bake the tortillas, flipping them over several times until they are lightly golden on both sides. Cool. Serve as suggested above. Here’s a grain-free cake suitable for ekadasi fasting. It’s from “The Book of Egg Free Cakes” By Cintia Stammers. I have not cooked it myself but I have heard from good cake makers that it works well. cream and jam or fresh fruits if required. Butter and flour one 10-inch cake tin. Set oven to 170 C / 330 F.
Sift together the milk powder, potato flour, sugar and bicarb soda. Melt the butter in a small pan and toast the coconut in it. Mash the bananas and mix in the yogurt, rind and coconut. Add the dry ingredients and nuts and beat with a spoon. minutes and turn it out onto a cooling rack. When cool, split and fill with whipped cream and fresh fruit. 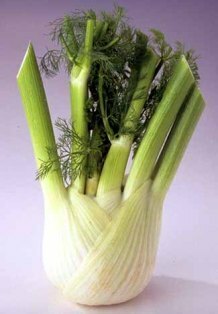 Florence fennel (Foeniculum vulgare) is in the shops right now in Sydney, and judging by it’s cheap price, it must be at it’s peak of season. It has a mild, aromatic sweet anise-like flavour. It is known in Italy by the name finocchio. Here’s a great fennel recipe. The sweet, rustic licorice taste of fennel is at once unmistakable and subtle. It is so flavourful that it requires no stock, only water, and no extra herbs to transform it into a full-bodied hearty, satisfying soup. If the inner core of the fennel is tough and stringy, remove it with a paring knife. Serves 6. 2 tablespoons chopped fennel greens. Melt the butter in a large saucepan over moderate heat. Sprinkle in the yellow asafetida powder and saute momentarily. Stir in the sliced fennel and fry, stirring occasionally, until slightly tender and translucent. Add the sliced potato, cold water, cream and the salt and pepper. Bring to the boil, then cover with a lid, reduce the heat, and simmer for 20 minutes, or until the fennel is soft and tender. Puree the soup, using a food processor, blender, or hand-held mixer. Pour the soup through a fine strainer. Serve: stir in the chopped fennel greens, then ladle into 6 warm soup bowls.